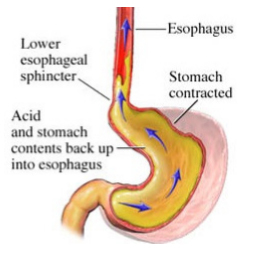 As shown above, reflux occurs due to failed lower esophageal valve. This can be corrected surgically or via endoscope. After the corrective procedure it is very easy to get off and stay off medications such as Nexium, Omepra-zole and many more PPIs. Research data suggests that a RSI of greater than or equal to 13 is clinically significant. Therefore a RSI > 13 may be indicative of significant reflux disease. Ask your doctor to refer you or Call (559) 782 8533 to make appointment if your score is 13 or more. We are very happy to help you. — Gaurang Pandya, M.D.